Since early November when I edited this photo, I’ve been feeling very short of time. I have a ton of things I need/want to get done and find myself constantly racing against time. Indeed, I have a long list of articles I want to write and I intended to write a lot more this month, (every day since we’ve been here in Calgary I’ve told myself I’d get an article up "today"), but unfortunately health nor time have not been on my side. So now, on the last day of the month (and year) I find myself scrambling to meet my self-imposed minimum of two articles per month, and perhaps even cheating a little by sharing The 3 Dogs’ Portrait, Again instead of something already on my list… Hm. Well, I suppose I should get back to preparing for tonight’s New Years Eve celebrations… Until next year! 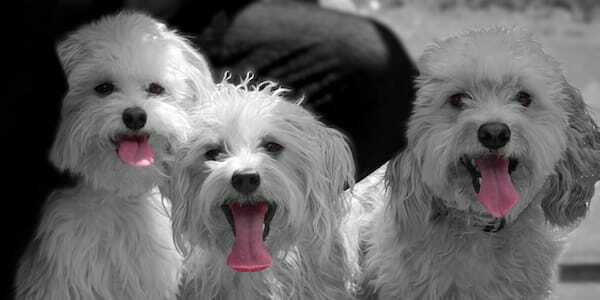 The 3 Dogs’ Portrait, Again was published on Monday, December 31, 2012 at 3:33pm MST by Daniel Menjívar and last updated on April 11, 2018 at 9:30pm UTC .